This is what the reds were up to for a good part of the morning. 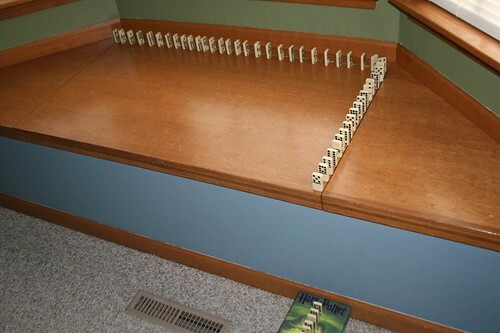 They also lined them up along the window sills, bridging the gap between them with a domino. Maybe we need to get a bigger set of dominos. Hmm...That would be a good family gift. Ooo, then we can play chicken foot.